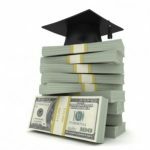 Student loan consolidation is often touted as one of the big perks of using federal student loans. Unfortunately, there are a lot of myths out there about consolidating your student loans. This leads many graduates to assume that consolidating their loans is a great option—or even the only option if they want to get out of making umpteen separate payments each month. This isn’t to say, though, that consolidation is always a bad thing. In fact, in some instances, it can be a helpful move with your student loans. But before you jump on the bandwagon, make sure you understand all the angles and options. First, let’s clear up some myths about federal student loan consolidation. These will help you be more educated before you make a decision on how to proceed. While most federal student loans are eligible for consolidation, they aren’t all eligible. There are also limits on which types of loans can be consolidated into a single Direct Consolidation Loan. For instance, parents may be able to consolidate multiple Parent PLUS Loans into a single Direct Consolidation Loan. But loans made to students cannot be consolidated with loans made to parents. 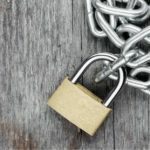 If you have loans outside of these categories, including private student loans, you’ll need to look into other options. One of the biggest and most common myths about student loan consolidation is that it will lower your interest rate. While consolidating student loans can lower your total minimum monthly payment, it won’t lower your interest rate. In fact, the interest rate on your Direct Consolidation Loan is a weighted average of the interest rates of your prior student loans. While it might look like your interest rate is lower because your overall rate could be much lower than on some of your individual loans, you’d pay, overall, about the same amount of interest on a consolidation loan under the same repayment plan. Additionally, consolidation loans can be helpful for locking in an interest rate on variable interest rate student loans. Most student loans are made with a fixed interest rate for the life of the loan, though the Department of Education changes interest rates with each school year. But a few loans can still have variable interest rates. When you consolidate these loans, you’ll get a fixed interest rate on the balance of all your loans. This myth is related to the last one. Some graduates think that consolidating is similar to refinancing, or that they’re basically the same thing. In fact, refinancing is something that you can’t do through a federal program. You need a private lender, such as SoFi, to refinance your loans. Refinancing through a private lender can consolidate all your loans into a single loan. It can also reduce your interest rate and offer other benefits. 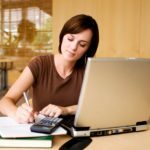 But consolidation through a Direct Consolidation Loan simply combines the balances of your disparate federal student loans into one loan with a single interest rate and payment plan. Federal consolidation loans actually do retain many of the same benefits as individual federal student loans, including access to various repayment programs. However, consolidating your loans may result in losing benefits for some of your loans. For instance, certain forgiveness programs are set up specifically for Perkins loans. Consolidating these loans into a Direct Consolidation Loan will negate the ability to have the Perkins loans forgiven separately. It’s essential that you understand the benefits available on all of your individual loans before deciding to consolidate them. You may be better off leaving certain loans, such as your Perkins Loans, out of the consolidation process. Luckily, you can decide which loans to consolidate when walking through the federal process, so you can customize consolidation to meet your needs. 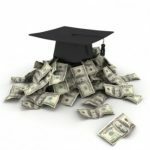 It’s a common misconception among graduates that consolidating student loans is the best potential option for everyone. The fact of the matter is that sometimes, leaving loans separate is often the better option. This approach can allow you to pay down your total loan balances more quickly using a snowball or avalanche method, for instance. For those with excellent credit and employment, refinancing student loans may be a better decision. You can essentially refinance your loans into one lump sum loan, but a private lender may give you a much lower overall interest rate. This will save you money over time. So what’s best for your needs? Before you can decide to consolidate or refinance, you need to understand your individual loan benefits. For which forgiveness programs might you qualify? And how will consolidation affect your eligibility? For which payment programs do each of your loans qualify? And how would consolidation expand or restrict your repayment options? Understanding these answers will help you make a solid decision. You’ll want to examine your repayment options before and after consolidating your loans. The Federal Student Loan Repayment Estimator is helpful here. Put the information for your individual loans into the estimator (or just log in with your student aid PIN to have the estimator automatically pull your information). Then, see what your current repayment options look like. You can then estimate your consolidated repayment plans. Put your potential consolidation information, including the total loan balance and probable interest rate, into the calculator. Then, see which repayment options open up and what your monthly payments look like. While you’re looking at this calculator, be sure to look at the total amount you’ll pay for your loans over time under different repayment plans. Consolidating your loans can open up longer-term repayment options, but these will result in paying more interest. Sometimes, this means paying much more over the life of your loan. Before you consolidate your student loans, see if you might be eligible for refinancing. 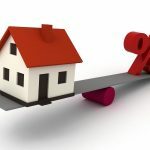 Private refinancing could dramatically lower your overall interest rate, which may lower your monthly payment, as well. Or you could choose a lower interest rate and shorter repayment term, leading you to ultimately pay much less over the life of your loans. Be sure that you understand all the pros and cons of refinancing before you go this route. For instance, you may lose access to flexible repayment plan options. And while many private lenders offer forbearance or deferment in case of job loss, you’re less likely to be able to access these with private lenders than with the federal consolidation program. To refinance, you’ll need a decent credit score and a steady income. If you’re not quite there yet, don’t worry. You can always refinance down the road, even if you decide to consolidate now. Once you put all this information together, it’s time to decide what you want to do about consolidating your student loans. If your goal is to retain flexible repayment options, access to forbearance and deferment, and a single monthly payment, consolidation is a good option. If you want to pay off your loans as quickly as possible, private refinancing is likely a better option. The bottom line here is that federal student loan consolidation isn’t for everyone. Before you take the leap, understand what you’re getting into and weigh all your options. And if you do consolidate, stay open to other future options, including refinancing, down the road.